Since I started my job, I knew a bit of travel would come into it – a couple of trips a year maybe. Milan was the first and I was very excited to go. As a child, we holidayed frequently to various towns and cities across Italy. As a self confessed 'foodie' from a rather young age, the food naturally always appealed to me but the country, well, not so much. I mean, don't get me wrong, I like Italian people, Italian architecture, Italian pizza...pasta...balsamic vineger...the delicious meats on offer in the true Italian supermarkets. You get where I'm coming from. Italy for me always has been and always will be about the food. So we arrived in Milan, staying just off the Corso Como. 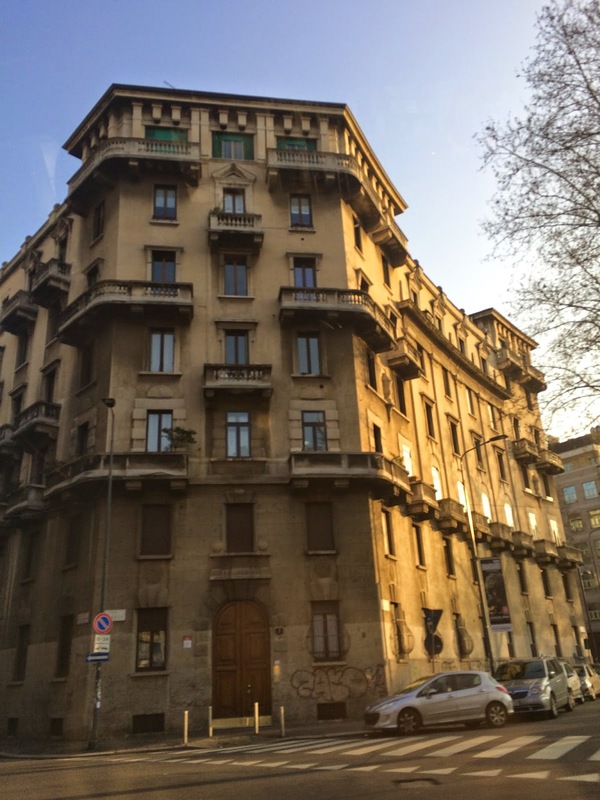 On first impressions, I can't say Milan seemed like a beautiful city. Some of the buildings were pretty but most just a little drab and run down, not even in the rustic Italian style; they just looked like they needed a lick of paint and a bit of TLC. I was very fortunate with the hotel, staying in the swanky Una Hotel Tocq. A fairly modern hotel with very friendly staff and great rooms. I mean, mine was probably a little (lot) more swanky than I would have booked for myself but hey, I'm not complaining! For the majority of the trip we'd be at the Fiera Milano exhibition centre – a short train ride from Garibaldi to it's name sake station. For 20 euros for four days, we were impressed by the regular train times, ease of travel and the cleanliness actually. I never really expect that many cities across the world to be that clean. Over the course of the week, I'll admit, I didn't really see a lot apart from restaurants, the exhibition centre and Eataly – which, of course, I had to visit. I thoroughly enjoyed the work element of the trip – with a huge number of our member companies attending the show with us, it meant very busy (VERY long days!!) spent on our feet, networking, making sure everybody's okay, sorting out any issues and generally just not being still. It was tiring, very tiring and hard work but only to the extent you just had to think 'right, if I stop and sit for a minute I might fall asleep for the next 8 hours and not really function properly' so, ya know, you just had to keep going. Aside from the working, there was eating. In the evenings mostly, the food blogger in me seemed to hide in the day for the majority of the time, apart from this delicious sushi...oh, and this kebab..and a salad...and a burger. Okay, so it didn't really hide. But I didn't snack, which is kinda rare for me. Evenings consisted of client dinners, half authentic Italian restaurants, half standard restaurants. Admittedly, the non-authentic restaurants were average. The authentic Italian restaurants were as expected – good food, proper flavour. However, I can't say I was totally blown away. The food I've had before in Napoli, Ischia and various other places I've holidayed over the years, was of a muc better standard. I'm really not meaning this to sound like a completely moany account of my trip to Milan but I can't not be honest really. I had a great time, with fairly good food, wonderful company, a great hotel to stay in and well, it was all really straight forward and enjoyable. I'll blog in a little more detail about the restaurants visited, food photos...the usual shpeel because, that's what this blog is about, isn't it? Let me know if you guys have been to Milan at any point, and whether you enjoyed it. I feel I missed out on the real authentic jaunts of the city but would love to know of any recommendations for next time.